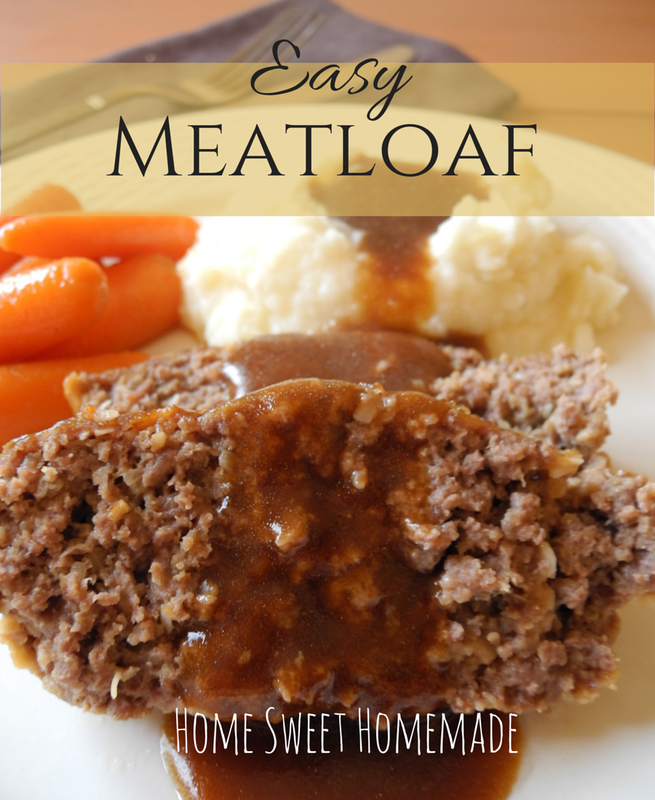 This easy meatloaf is very flavorful thanks to the homemade onion soup mix! The pan drippings also make a divine gravy…you’ll never use ketchup again! 1. Heat oven to 350°. Combine all ingredients except the flour and browning sauce in a large bowl. Place in a loaf pan. Bake uncovered for 1 hour or until done. Let stand 10 minutes. 2. Remove loaf from pan, cover to keep warm. Strain the pan juices into a 2-cup glass measuring cup. Spoon off fat, reserving 3 tablespoons. Add water, if necessary to make 2 cups of pan juices. 3. Pour pan drippings and juices into a sauce pan. Whisk or stir in ¼ cup of flour until smooth. Bring to a boil. Cook and stir for 1 minute. Remove from heat; add browning liquid. I love a good meat loaf and yours looks delicious!!! Would love to have you stop by and share!!! Aren't you sweet! I just linked up! Thanks for the invite! Heh Trisha thanks so much!!! have a great week!! !